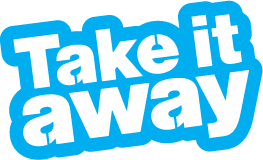 Take it away is a consumer credit scheme providing interest free loans of between £100 - £5,000 for the purchase of musical instruments. It aims to make musical instruments more accessible to children and young people. Unfortunately they are not able to support applicants aged 26 or over who are not using the scheme to purchase a musical instrument for an under 18. If your application is approved, you'll need to pay a 10% deposit of the instrument cost there and then. The remaining cost will be the value of your Take it away loan which you will repay over 9 monthly instalments (on goods of £100 - £2,000) or 18 months (on goods of £800 - £5,000). The Take It Away Scheme is supported by the Arts Council.